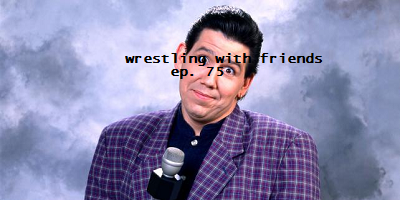 We're hanging out with the Undertaker and all his pals on this installment of Wrestling With Friends! After some neighborly discussion with 'Taker, the Friends bring one more challenge to the table for Survivor Series month. By giving each other a team name, they're dooming each other to find a group of misfits to match. Are there enough pro wrestlers in the world to make up a team called 'The Slippery Whistlers'?? In their latest jaunt to the Alternate Universe, the Friends are noticing some more stables that need a little help. Classic groups like Evolution, The Oddities and The Mega Maniacs are all getting a little help from these Friends when they Must Add One more member!